Please join us is in celebrating Rabbi Marc D. Angel’s 50th anniversary of rabbinic service, dating back to September 1969. In honor of this milestone, the September 2019 issue of Conversations will feature a selection of Rabbi Angel’s articles, essays and divrei Torah edited by his son, Rabbi Hayyim Angel. This issue will include a Scroll of Honor with the names of those who join in congratulating Rabbi Marc Angel on his half century of rabbinic leadership. We invite you to participate in this tribute by supporting the Institute for Jewish Ideas and Ideals. To contribute, you may send your checks to Institute for Jewish Ideas and Ideals, 2 West 70th Street, New York, New York, 10023; or you may contribute below. 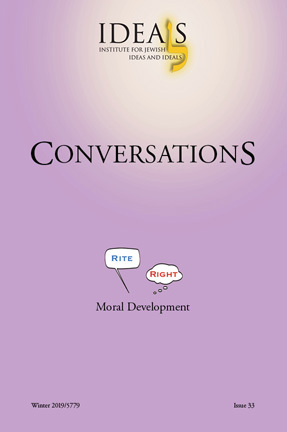 Contributions must be received by June 5, 2019 to be listed in the special issue of Conversations.